US-tech giant Cisco has zeroed in on Pune for its manufacturing a unit in the country as it looks to scale up its presence here, eventually making India an export hub. “…We are committed to Pune. We view this as a set of strategic initiatives which together produces outcomes… We see India leading as a fast innovation leader. “…We have been looking at this (manufacturing) for several years and we knew that this was important and the site (Pune) was selected,” Cisco Chairman John Chambers told PTI. He, however, declined to comment on the specific details of the unit and added it (unit) is expected to locally manufacture in order “to support the Digital India vision”. “We bring an ecosystem of companies with us… We have already had a conference with 93 global suppliers at Bengaluru to lay the groundwork what digital manufacturing means, what we expect out of our supply chain…it’s a pull through effect,” Chambers said. “It (India) has to become an export hub for other countries because otherwise you don’t hit your economies of scale. Can we do a one off for India? Of course. But that’s not what the Prime Minister wants. You have to make it a win-win. First, you manufacture in India for India and then, in India for the world,” he said. “And you create an environment with a very well-educated workforce that understands the value of partnership and democracy,” he said. Cisco invests about $1.7 billion (roughly Rs. 11,334 crores) every year in India. During the December 2015 quarter, Cisco saw its global revenues grow by 2 percent to $11.8 billion (roughly Rs. 78,675 crores) (excluding SP Video CPE Business for all periods), helped by growth in markets like India (23 percent). 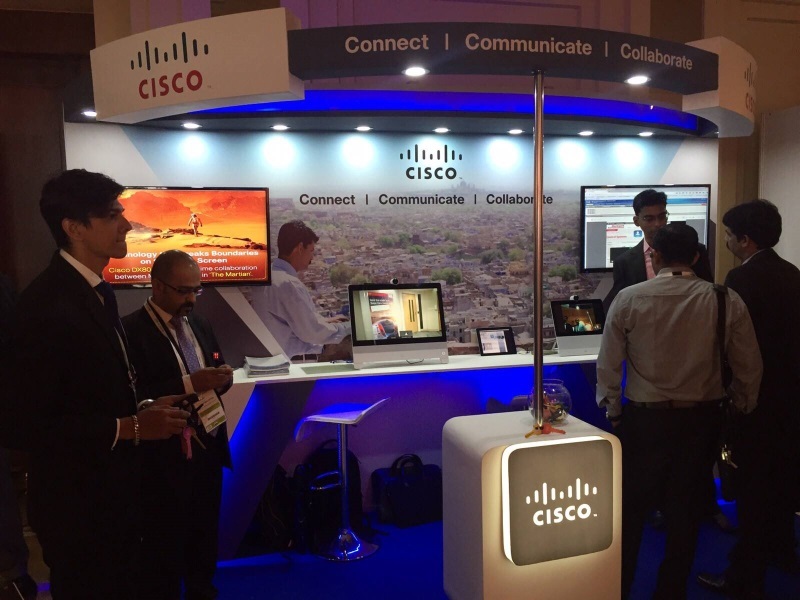 Later in the day, Cisco will announce its partnership with the Andhra Pradesh government for the country’s first state-wide broadband project, AP Fiber-Net, in Visakhapatnam.